Hi! Pretty new to the FGO community (just started to play NA version last year) and I’m curious as to who is that Servant that you love the most? 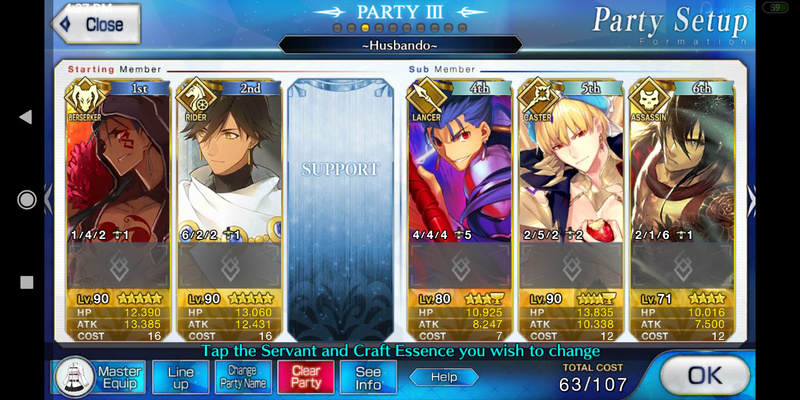 I have a friend who really loves his Umu Waifu and I wanna know other people’s favorite (stats are not important). For me musashi, okita and MHXA cause I’m a weeb and like Japanese sabers. I like MHXA cause I personally like her glasses and find her clear Star Wars references hilarious. I will scream this from the top of any mountain, as loud as anyone wants, as many times as anyone wants: Robin Hood and Jeanne D’Arc bestest husbando and waifu. for Robin Hood, Arthur, and Gawain. Waifuwise…probably Mikon. She was my first SSR and I really like her character. I also like Medea and Okita. Might be hard to believe, but I don’t have any. Undoubtedly, my top ‘husbando’ is Karna. Humble and honest to a fault, with power enough to push back the universe with each shot of his bow; I could not ask for more. Top ‘waifu’? Arguably Mysterious Heroine X, because she has an amusing personality and realizes that the Saber-face population needs culling. Cool, yet simple aesthetic design. Too bad she got a Disney-esque ending. I would’ve liked to see her go down a Fate Zero-like route. 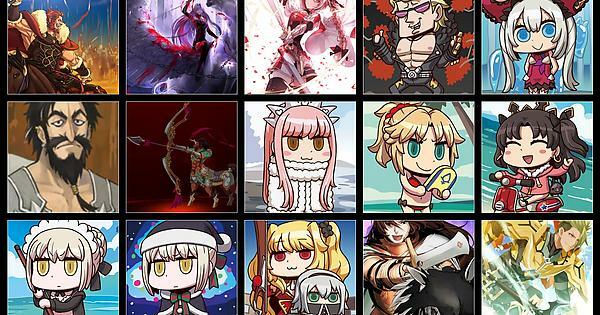 Hahaha, I just want to see a one-shot mini-series akin to “[insert character] Kills the Marvel Universe”, except for Mysterious Heroine X where she kills all the Saber-faces; written by Gen Urobuchi. Best bro is my one true king, Arthur Pendragon. Despite being barely flesh out as his OG story, Fate Prototype is yet to be done, and only his prequel which details him as him just Mr. Knight Guy, his story is interesting from what little tidbits we do know. For one, he knows Roman. And another, he killed a Beast more than once, and is hunting it down once again. Lastly, it’s implied that he’s yet to actually die based on his trial quest, as he still has something he needs to do. Not to mention, compared to the stoic Arturia, he’s less held back by his past, and is actually a rather happy guy. Best waifu is Medea. Underneath all that witchery, betrayal and using others for her own means is an insecure girl who is afraid to trust others again. Scared of love and yet yearning for it, I just want a happy ending for her. I don’t even mind not having a Medea route in any game, just give us something where she’s happy with Kuzuki or whatever. Oh, and Rider Medea with the Golden Fleece, please. Christmas event main character material right there, what with her throwing whatever crap at couples because she’s bitter.